It's been a little slow on this blog lately. Which doesn't mean I haven't been busy. Let's start with the converted Xsara. It's 12 V aux battery woes have continued. Also contributing to the issue is your's truly, forgetting the vehicle running and so on. So it seems I killed another lead acid battery. Maybe it's a hint I really should take and just not use them anymore at all anywhere again. 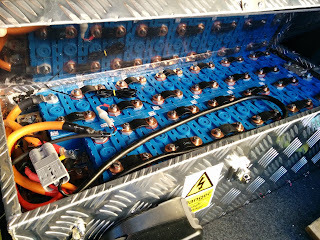 To replace it I put in four of the worse 40 Ah SE40AHA lithium cells I had around. Worse because they don't really keep their voltage really well and are at least a little soft shorted inside, but not completely. With those four cells in the can serving the purpose of aux battery I set off to the local inspection office to have the vehicle checked, as is required every year. This time I had no less than three officers looking under the hood and asking questions about the electric powertrain. The brakes have seen better days, but the car still passed. I should still take them apart and at least try to salvage the discs. 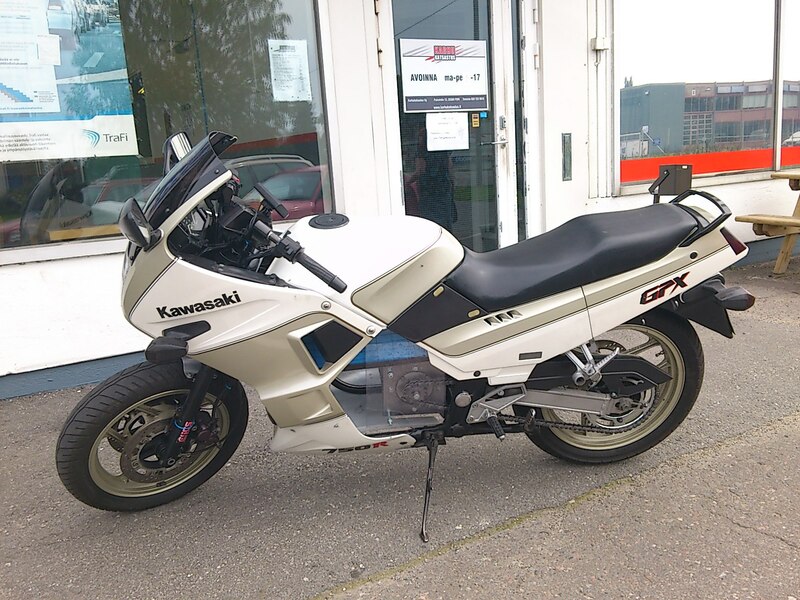 It seems there were no pictures taken of the battery swap or the inspection itself, but there are pictures of something I did a little earlier. The repaired 87.6 volt charger gave up the ghost again and this time I pretty much gave up on it. Again, I suppose, but not willing to pour any more money into it. 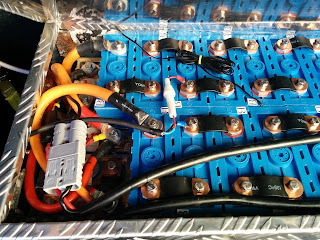 So thinking about how to solve the issue again, I decided I'd add some more batteries into the vehicle. 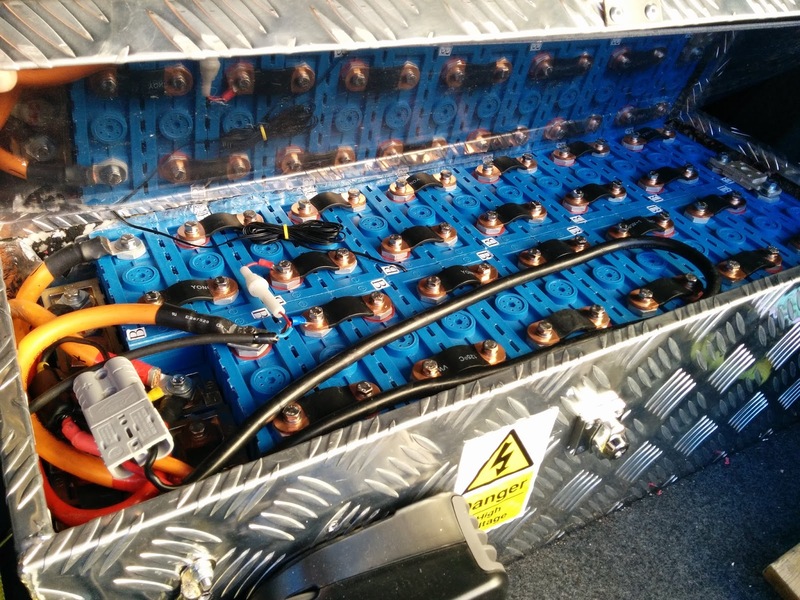 It has 60Ah cells, but since I have those abused 40 Ah cells around from the motorcycle, I decided to augment the pack with a couple of them in parallel. Turns out I can just about get away with a string of 27 cells with the AXE 7245 controller in the car. It has a maximum voltage of 90 volts, but it will start if the voltage, as presented by Cycle Analyst, is less than 91 volts. With the 27 LiFePO4 cells in series and fully charged, I end up a little over 91 volts, but if I let the DC/DC converter run for a bit the AXE will relent and start up. This gives me about 400 Wh more to drive around with bringing the pack total a little over 5 kWh. It's a bit of a mess, but there they are. I was sort of hoping I could use my 102.2 volt charger directly when increasing the cell count, but I had to put into a bit of monitoring in the end. 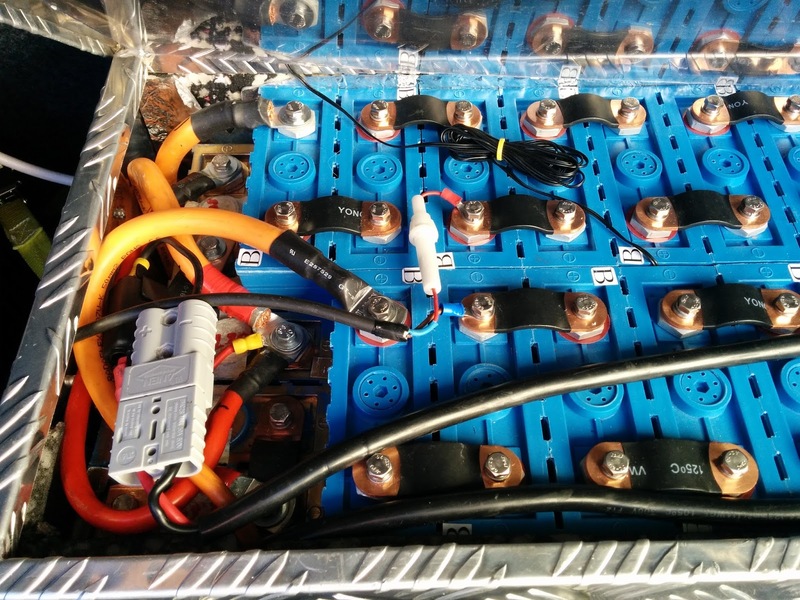 It looks at 20 cells in the middle of the pack and makes sure they stay within 3.5 volts on average and then it tells the 102.2 volt TCCH/ElCon charger to stop charging until the voltage goes back down. Not optimal, again, but it works for now. 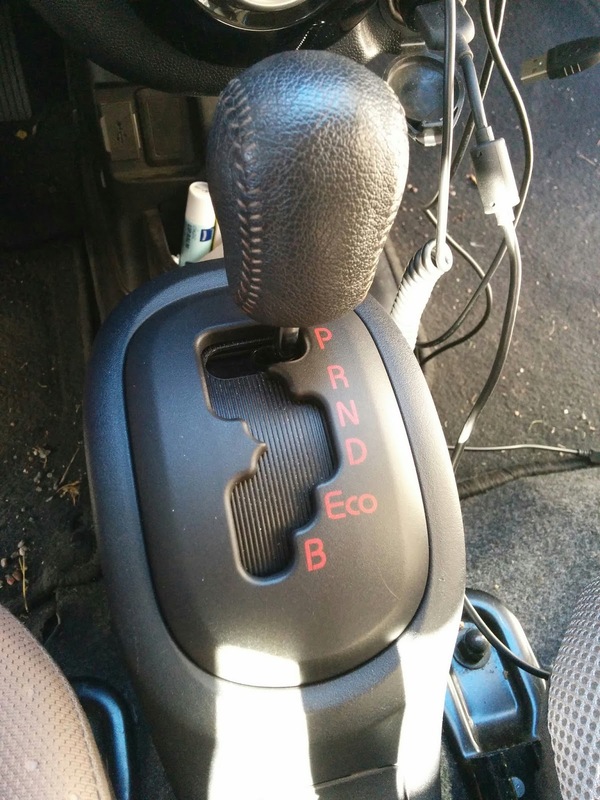 On the C-Zero I received a shifter cover panel from Ben Nelson, who has a flooded i-MiEV his parting out now. It took a little bit of fiddling to get it in the car, but I managed to do it and now it really looks the part. Thanks a lot for part, Ben! Last, and probably least as well, but still quite important is the addition of two new USB charging ports I added to the C-Zero. I can turn them on or off with the switch. 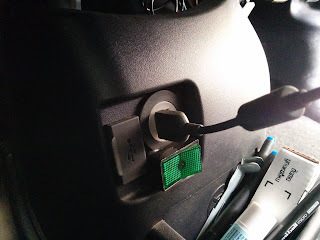 They're always connected to the car's aux 12 V battery, so I can provide power to some devices even though th car is not running. Very handy for CaniOn, which I've also configured to turn on when the phone which is permanently in the vehicle gets power, so I can always easily see what's really going on with the battery. I could easily replace the current battery pack with a 8 kWh pack which would give me over 100 km range without making the bike too heavy. Copyright Jarkko Santala 2012. Teema: Picture Window. Teeman kuvien tekijä: merrymoonmary. Sisällön tarjoaa Blogger.